Before the euphoria passed, I decided to read Harry Potter and Cursed Child first and pause other books that I’ve been reading at the moment. Kind of a bit late to realise it though because I already have this book since last week and I just read it yesterday. I can’t believe myself when I’ve finished reading it. It took me approximately just four hours to finish it. It’s a new record! My fastest record is a day, but that’s a thinner book and of course, Indonesian novels. I have never finished English novels in hours count. My fastest record in reading English novels is 2 days, which is coincidentally Harry Potter and the Deathly Hallows. Seriously, that book is awesome. So this book kind of has set a new record. But I’m not surprised at all. 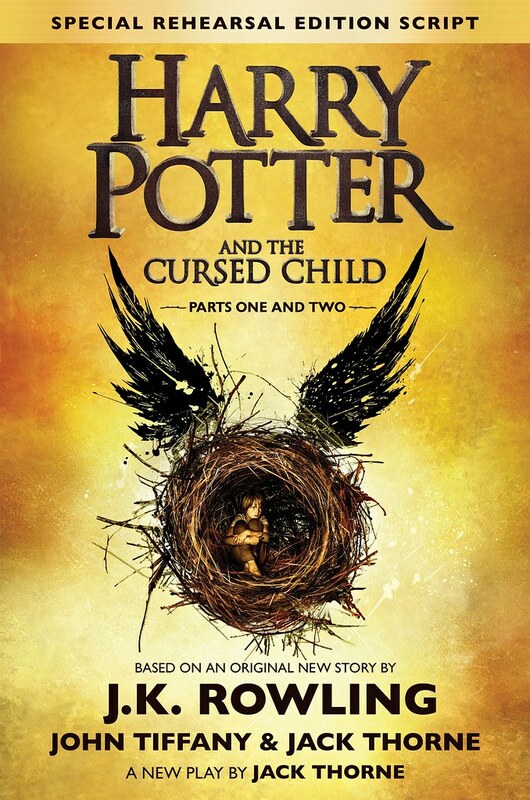 Harry Potter and the Cursed Child is not particularly a novel. It is more a script of a play. So, yeah, I guess reading it at a fast pace is undeniable. I was so excited when it was announced there will be an eight book of Harry Potter. I thought I was hearing a hoax, but luckily, it is not. I love Harry Potter series. Every single book. So, yeah, I’m so excited about this Harry Potter and the Cursed Child and have pre-ordered them months ago. The first few pages I’ve read, I thought this is not the work of J. K. Rowling. I mean, it’s just so different. I don’t know. I don’t think if she wrote the continuation of Harry Potter, it would be like this. But I don’t know. It’s just my opinion, though. The story is not so bad, but compared to the previous books, this book is kind of a downfall. But I will put a plus point for bringing my favourite characters back again. It really is nostalgic. Harry Potter series is the first books that I’ve read and made me fall in love with books. That’s why it’s kind of special to reread the character back again. As for the story, well, it isn’t bad, but it’s not what I have expected. However, I like the friendships that are built in the book. It’s sweet. With a little bit of feud here and there, I think it’s logical. Though there are many things that I didn’t understand and found them not logical. I want to say it, but I think it will spoil the whole thing, so let’s just leave it at that. Anyway, in a matter of the story plot, I don’t think magic is the main topic here. I think it’s about relationships, whether friendship or the relationship between father and son. The relationship really does show in the entire book. So yeah, this is not like any other Harry Potter books. Since this is a play, I don’t think we have the right to judge the lack of descriptions. It’s a play script after all, so I suggest don’t expect too much. I know I’ve said J. K. Rowling didn’t write this, but I think she did have some input in this. Ron is still the funniest and ridiculous one like usual. So does Hermione. She is still smart like the Hermione we know. Perhaps Harry is the one who has changed a little bit. I also did expect to see more characters as well, like Teddy Lupin and so on. Unfortunately, not everyone shows up. Nah, it’s a play anyway, we can’t expect the whole film crew to join the cast, right? So yep, I really think this book is in-between. I like it a lot but there are so many parts that I don’t like. Looking at the bright side, Harry Potter and the Cursed Child brings back our sweet memory with Harry and Hermione and Ron and of course, Ginny. Reading Harry Potter and the Cursed Child is a good experience, a nostalgic one. It’s not as great as previous books of Harry Potter, because, well, how can you beat the greatest books of all time like that? I give Harry Potter and the Cursed Child 3 out of 5 stars. Thank you for bringing my favourite characters back.